Search engine optimisation (SEO) is the process of improving the volume and quality of traffic to a website from search engines via organic search results (for targeted keywords). We’re often asked: “do you do search engine optimisation?” by prospective clients. One important point in answer to this question is that any website built professionally should already be well placed for SEO. It isn’t an optional extra – it’s part of the design process. Successful search engine optimisation can result in one of the best free marketing campaigns a business can benefit from (excluding word of mouth). Take the Josh.biz website for example, a Google search for norfolk web designer usually places us very well in the results. This type of prominence can be priceless and doesn’t cost a penny. If you operated a hotel in North Norfolk, an obvious desire would be to target potential customers typing ‘hotel north norfolk’ into search engines. Success in this field comes in two stages. Firstly, there is the requirement to predict the keywords and key phrases (combinations of keywords) which your target audience is likely to search for you under. It is important to be careful and realistic about which keywords and phrases are selected and targeted. For example, targeting ‘hotel’ would be extremely difficult, whereas targeting a ‘niche’ key phrase such as ‘hotel north norfolk’ would be entirely viable. Remember, if a potential customer was searching for a hotel in North Norfolk, they are more likely to search for ‘hotel north norfolk’ rather than just ‘hotel’ in any case. With the keywords and phrases identified, next comes the skill of optimising your website to appear under these during a search. For this to be successful, a wide range of techniques is required, some more obvious than others. We will discuss some of these further below. The organic search results are those which appear on the left side of search engine results pages (SERPs). Search engine optimisation is about being found naturally in the organic search results rather than having to pay for search engine advertisements. Paid for advertising (also known as ‘pay per click’, PPC) is a different ‘ball game’ altogether and such advertising usually appears on the right of the results pages. Google clearly mark their paid for advertising as ‘Sponsored Links’. This is one of the fundamental ways in which search engines earn revenue. Josh.biz can assist the preparation and execution of online advertising (please contact us for further information) but here we are discussing the techniques and benefits of optimising your website to appear in the organic results. Search engine optimisation is a highly important issue because so many people simply ‘Google’ for the services they require. It’s the modern day version of Yellow Pages. Well designed search engine optimisation can therefore make a large difference to profit margins – increasing income, without expense. The good news for businesses, is that costs for embracing search engine optimisation are usually considerably lower than traditional advertising and in particular when compared with printed marketing such as brochures, leaflets, and magazine advertisements. A few one-off SEO costs can result in far more significant results at a fraction of the price. Hence, search engine optimisation should be considered as an important facet in the design of any website from outset. Josh.biz automatically employs search engine optimisation techniques in all the websites we design (as should all professional web designers). 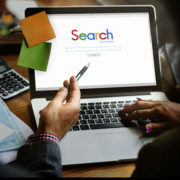 As you can read below, many SEO techniques are integral to the design of your website and are therefore best implemented during the design phase. However, unless a website is particularly badly constructed, there are often straightforward solutions which can produce positive results very quickly. Josh.biz therefore offers a full SEO review (and solution) service for businesses who believe their website is underperforming. In the first instance, we recommend a professional appraisal (review) by Josh.biz. This can be prepared for a modest fee, resulting in a written report which details both positive and negative aspects uncovered. Proposed solutions and associated costs are fully detailed which can then be implemented by Josh.biz or any other suitably skilled person. 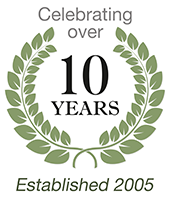 Please enquire with us to discover more about this service. Here are some of the main areas we recommend attending to if your website is to perform well. The list is certainly not exhaustive but should offer an insight into many of the important areas to address. Naturally, some of these techniques are best performed by a web design professional but some can be rectified easily in house or with research. Good quality copy – content is king. Josh.biz firmly believes in the mantra, ‘content is king’. Without a doubt, content is usually the single most important factor in search engine optimisation. 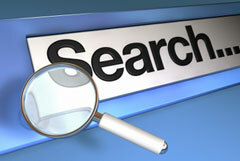 Since the first search engines were developed, content has always been a primary factor. After all, search engines are not going to rate your web pages highly for any particular subject unless they contain lots of good quality relevant information. Remember that the goal of the search engines is to present their users with the best quality information from the thousands of web pages available. Their success depends upon this. When users search for information or services, they expect the pages listed at the top to contain content-rich information. So, if your pages are minimal in content, this is an immediate area to attend to. Nobody knows your business as well as you do. However, the expertise of copywriters should not be underestimated. The cost of employing a professional copywriter is usually much lower than anticipated and the results can have a very big impact in terms of SEO. And, of course, a pleasing experience for human visitors is an entirely separate benefit. Even the most badly designed website can perform well in terms of search engine optimisation, if the content is strong enough. Use of targeted keywords and key phrases (to match what your potential customers will be searching for) is critical. If you require copywriting services, contact Josh.biz as we can recommend suitable services for different business types and to suit every budget. Many of the poorly performing websites we review have been created without any knowledge of web design skills, on a shoe string budget and using ‘off the shelf’ web design software promising instant results (just add water). The resulting web pages will typically demonstrate in poor coding as listed below (and usually many more serious problems). This is fine for a personal website (for family and friends) but we don’t recommend this for professional business website design. There is no substitute for employing the appropriate level of expertise when designing and administering a professional website. Using frames and tables for layout. Badly written page titles and meta tags (or worse still, none at all). This is extremely common and so easy to rectify. Remember that these should be customised for each page within your website. Inbound links. One of the reasons Google has been so successful is because of it’s patented PageRank technology. This determines the ‘relative importance’ of your pages by analysing the incoming links to your pages from other websites. In effect, these incoming links act as votes for your web pages and can have a very positive effect on the SEO visibility of your website. The thinking behind this is that if your web pages are so useful/important, other websites will naturally link to you. It helps greatly if these links come from pages which relate well to your content. Avoid the use of link farms and choose link exchanges very carefully. If your website is guilty of any of the above, this is absolutely sure to affect your SEO opportunities and is the most common reason for not appearing on search engines at all. If you don’t have the technical ability to understand these matters, find an expert that does. It could make all the difference. 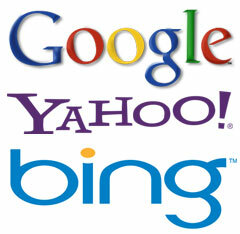 Need more SEO / search engine marketing assistance?